On Wednesday, April 27th, we held a special Senior Session for our 16 graduating seniors that will be leaving us in just a few short weeks! The rain stopped just in time for us to snag some really great pictures at our favorite spot, Tiger Stadium, while our seniors reminisced on all the fun times that they had with their sisters. "These girls have been by my side through the tears, long nights, and crazy adventures that come with going to our amazing university and I wouldn't have wanted it any other way! In just a couple of weeks we will all be going our different ways and stepping out in the real world. I am so proud of each of you and I know Sigma Alpha has readied us to become the women who will excel in agriculture and to be like Ruth and walk forth each day of happy hearts and continence serene." "Sigma Alpha is definitely a lifestyle. Sigma Alpha becomes your life, and your entire semester revolves around it. It's important for me to keep up with my school work in order for me to spend time with my sisters. The fact that it's done so much for me for personal growth...I'm going to miss it so much." 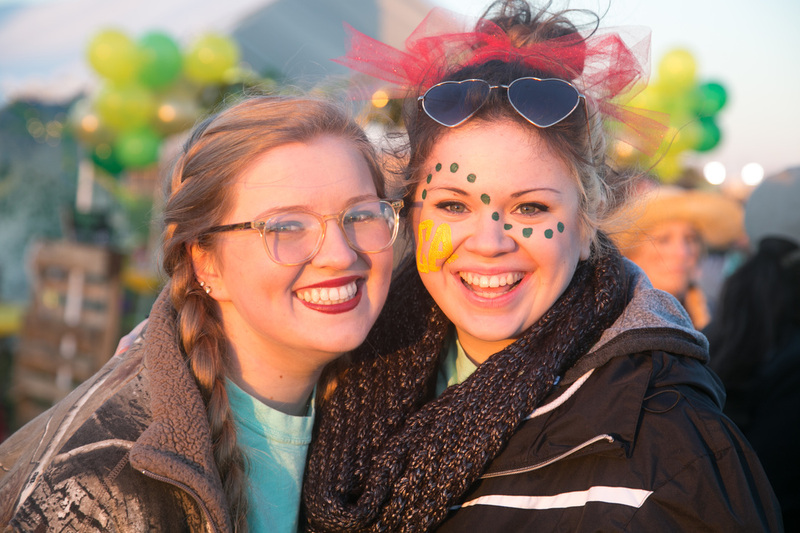 "My favorite part about Sigma Alpha is that it gave me somewhere to call home. Before I joined Sigma Alpha, I didn't want to be in Baton Rouge, and I didn't want to be at LSU. When I rushed Sigma Alpha, I found my place where I could be myself and have someone to talk to, eat lunch with, and go to class with." ​We have had quite a busy weekend in March with Sigma Alpha! Whether it was our long awaited Big Little Reveal or our Founder’s Day Banquet, we had a great weekend with our sisters. We were also scheduled to have our sisterhood retreat on Saturday, but because of the crazy weather, we have rescheduled our retreat and will have an additional post about our sisterhood retreat during April! First off, Big Little Reveal was amazingly hosted by our Vice President of Membership, Elise Barras! Our seven “littles” were so excited to find out who their bigs were after a week of non-stop gift baskets from their lovely Big’s! Our littles gathered together to guess who their bigs were based off of their matching socks that their bigs got for them. Our actives stood behind a curtain labelled “guess who?” with their feet stuck out, and our MC’s were so excited to find that their bigs were the sister they’ve always wanted! Afterwards, our big little pairs made their way into our game room that was full of a ton of fun games—from Hungry, Hungry Hippo, Battleship, Just Dance, Mario Kart, Twister, and more! All of our new Big Little pairs and all of our actives were awarded tickets per game they won and could turn in their tickets at the end of the night for special prizes! All in all, it was a fun and relaxing night after a stressful week of midterms. We are so excited for what this semester has in store for our lovely MC’s and are so excited to have them apart of our family! Our fun weekend didn’t stop there, though! On Sunday, March 13th, our 1st Vice President, Juliana Major, hosted our Founder’s Day Banquet at the Faculty Club on campus! We celebrated 38 years of being a “sororitEA” with our special guests as women who have had a positive impact on our lives. Each active was invited to bring a special woman in their life to help celebrate our sisterhood and achievements in our 38 years of being a sorority. Our alumni were also highly encouraged to attend, and we had quite a great turnout of alumni as well, which is always a treat for us! From the awesome playlist, to the delicious food, to the beautiful cake, and, of course, spending quality time with our sisters, Founder’s Day Banquet was one to remember for all of us! After our refreshments were served, the chapter nominated selected members for their outstanding achievements during their time in the sorority, both academically and the embodiment of our four pillars. After the awards were given out, one of the founding members of our sorority and first full term president of Sigma Alpha Zeta Chapter, Carmen Farenthold, who drove all the way from Texas to spend time with us, gave a powerful and insightful presentation about Sigma Alpha, our history, and the importance of our legacy and sisterhood. She exemplified all of the important aspects of Sigma Alpha that has stuck with her throughout her professional life and instilled in all of our active members the important impact Sigma Alpha has on all of our sisters! Scholarship Awards: Most study hours-Savannah Crawford; Most Improved GPA-Natalia Arango; Highest GPA (Big/Little pair)-Jennifer Campbell & Stephanie Alevizon. Outstanding Member Awards: Most outstanding MC-Stephanie Alevizon; Most outstanding chair-Megan Galland, Sisterhood chair; Most outstanding active-Madison Hannan; Most outstanding Executive Member-Katelynn Lassalle (1st VP in Fall of 2015); Miss Zeta Award, given to the active who embodies our pillars and goes above and beyond for her sisters—Brandy Malbrough. Overall, our weekend was full of non stop sisterhood and love. With the semester already halfway over, we’re all so glad we can spend it with our sisters! ​Phew! My first Rush as recruitment chair is finally over. What a whirlwind. Never did I think that something that I first viewed as being just a large ball of stressful complications would have taught me so much and that I would’ve had so much fun doing it. Well, honestly, never in my life did I see myself 1) in a sorority and 2) in a leadership position, none the less executive board for a sorority but that’s a whole ‘nother can of worms. Now, don’t get me wrong, recruitment was stressful. Extremely stressful. Every single person in the sorority, whose apart of the college, every person on the outside and the inside looking at the sorority for the entire recruitment process is looking at me. If someone has a question, they’re going to ask me. If someone has a complaint, they’re going to tell me. And that, of course, is extremely stressful and put me in a very uncomfortable place for the time I was in the spotlight, but I know that being uncomfortable is what can drive positive change. This position pushed me so far out of my comfort zone and I am grateful for that. I had to come up with an entire recruitment workshop, plan out by the minute what was going to happen every night of rush, reserve countless rooms, orchestrate interviews, keep track of potential new members, recruit young women to become apart of our sorority, plan out our Bid Day, run our social media, and, on top of that, keep track of our active members and make sure everyone as meeting the requirements. What a mouthful. But I wouldn’t change it for anything in the world. Being recruitment chair, even though it’s only February, has taught me to, obviously, become extremely organized. The objective things you think of when getting a leadership position in a collegiate sorority have obviously been checked off—organizational skills, interpersonal skills, creative problem solving skills…the run down. I’ve grown tremendously in ways that you would think come with the position. I was expecting that. What I wasn’t expecting was growing closer to my sisters while being Recruitment Chair as much as I did. Ready for our new members on Bid Day! I think one of the most stressful times was the day of Rush Workshop—this is the day that all of our actives join together to learn more about recruitment and get excited for the week to come. I wasn’t really stressed about meeting all the marks and staying on task; what I was super nervous about was the active’s receptiveness of me and all of the things that I ask of them for the week. I felt extremely pressured that they were going to be disengaged and just hated me for asking them to do all of these things for the next six days. I was, thankfully, dead wrong about my fears. All of the members of our sorority came in and actually looked happy to be up and early on a Sunday morning learning about sorority things and snacking on Trader Joe’s cookies. They were extremely engaged, wanted to add their helpful input, help each other out, and wanted to play games. 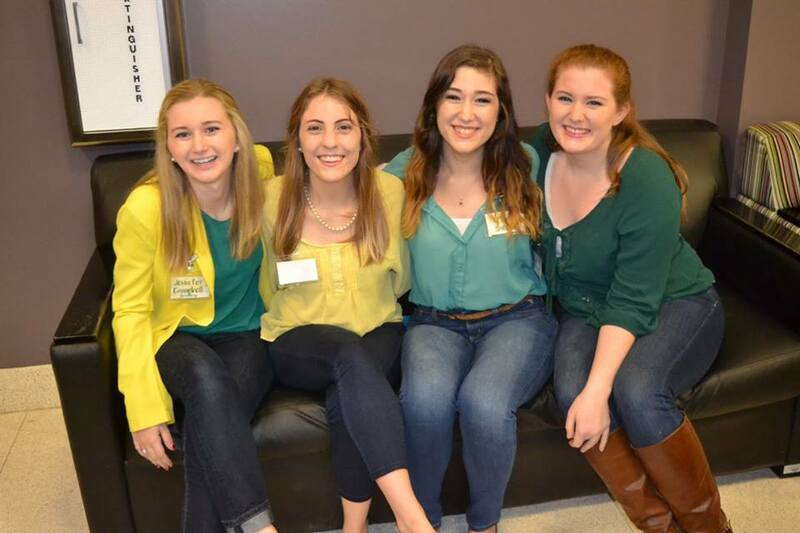 Their positive attitude completely brought the room so high and made me more excited about recruitment. All of my nerves dissimilated as soon as I started the day. They were happy, they were my sisters, and they were excited to get new members, too.